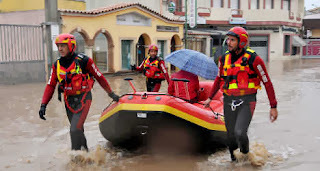 Sardinia Flood Appeal ~ Sardinia Baby! Prime Minister Enrico Letta has declared Friday a day of mourning, to mark the death of 18 people in flash floods on the island of Sardinia. Around 1,700 people were still sheltering in emergency accommodation on Thursday following Monday’s floods, prompted by a cyclone sweeping across the island. With several people still unaccounted for the death toll could still rise. Rivers broke their banks at the height of the storm on Monday, sweeping away bridges, bringing down power lines and flooding hundreds of homes - some of them in low-lying rural areas that have yet to be reached. 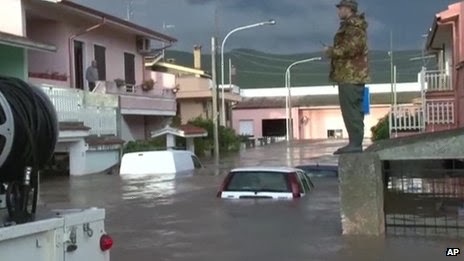 Around 20,000 people in Sardinia have been affected, with the north-eastern city of Olbia left almost entirely under water. There has been an incredible sense of community on the Island with people trying to help in any way they can. 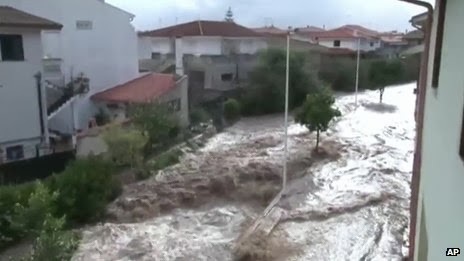 Thousands of volunteers from all over Sardinia have taken to the streets of Olbia and affected areas to help with the massive clear up operation from shifting mud and debris to distributing aid. As well as donating clothes and food there have been many initiatives to help the relief effort including the sale of artwork and local creative people making small arts and crafts and putting them on sale online to give the money to the people that need it (https://www.facebook.com/creativiunitiperlasardegna). There is still a huge amount to do to bring peoples lives back to a semblance of normality. From now until Christmas all proceeds from sales of DVD's and downloads of The Mandrake Root which was shot on the island will go to support those in Sardinia who need help.